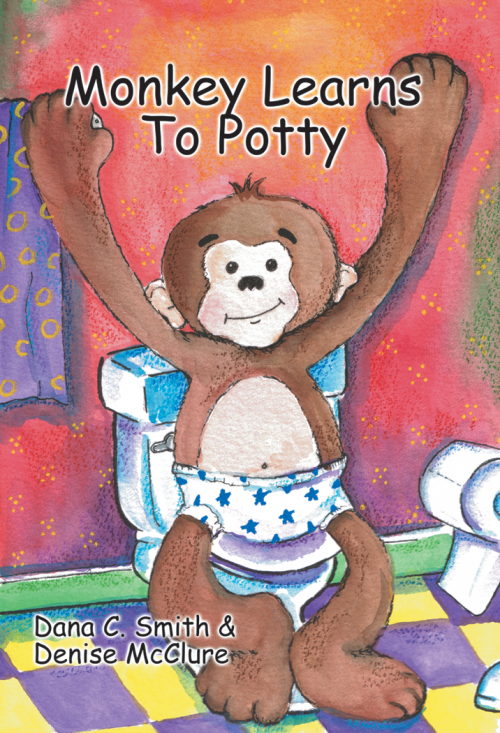 Reminds your child when it is time to go potty! 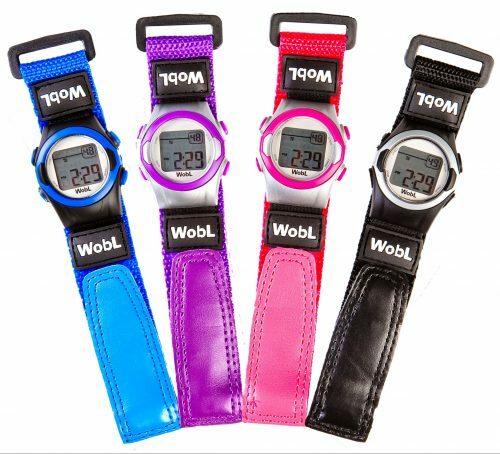 Set the countdown timer to alarm at intervals from 10 to 120 minutes, so it is no longer Mom & Dad’s job to remind them to potty. 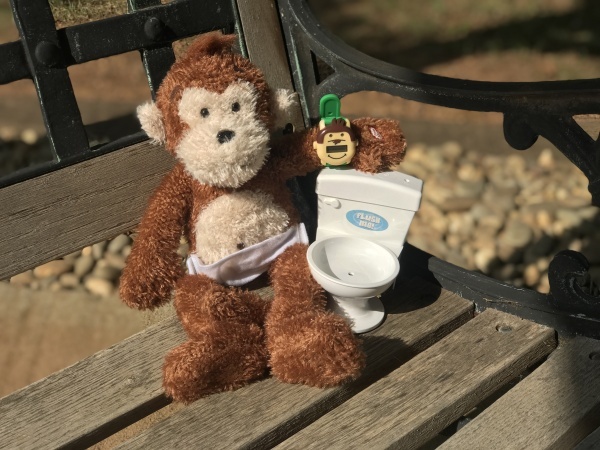 Avoid accidents and get your child excited about going potty! 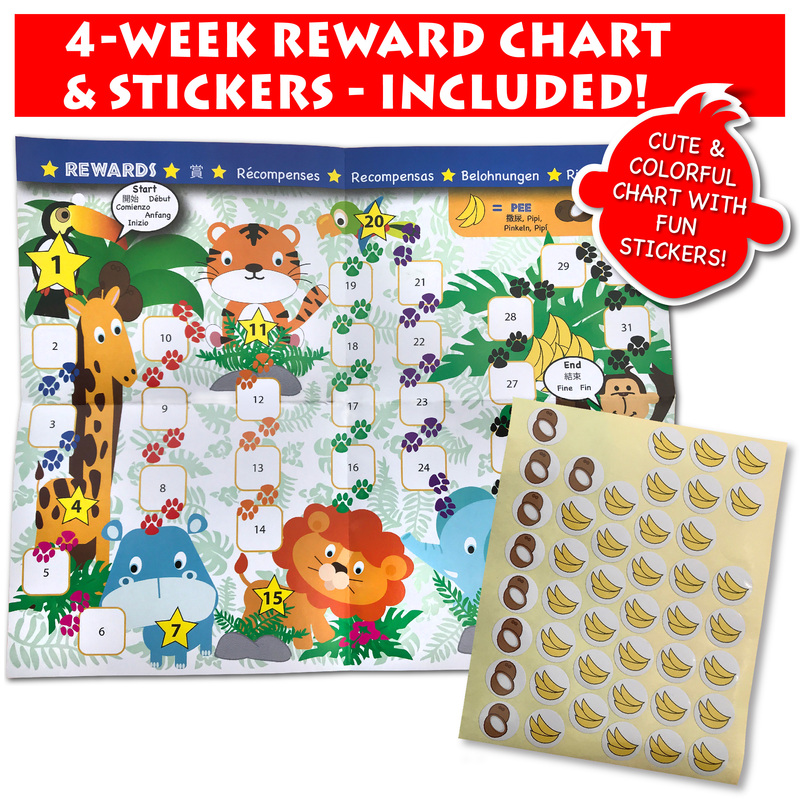 Rewards chart & sticker set included! 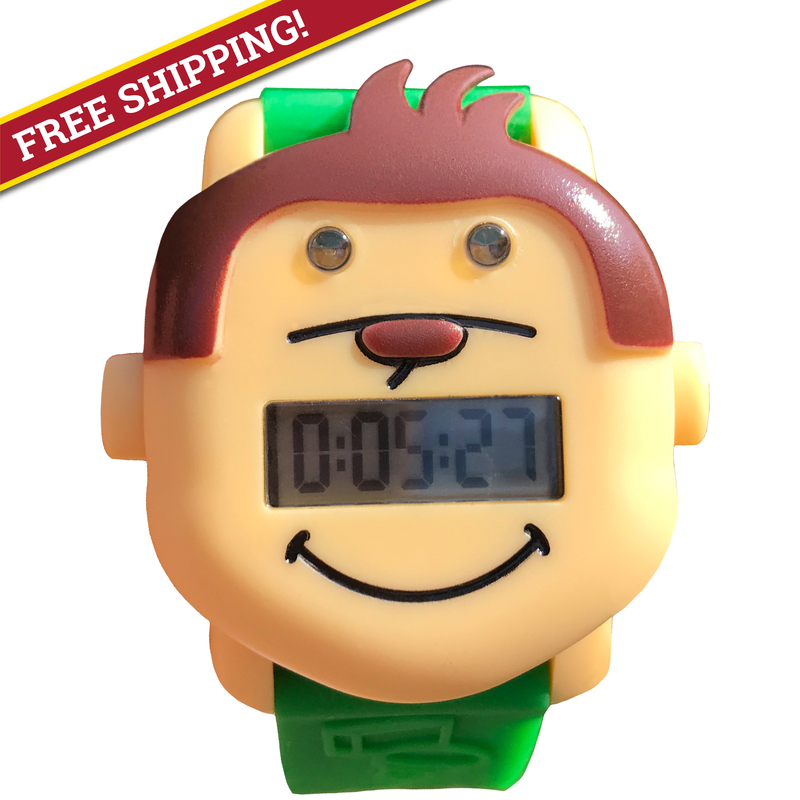 *This is a countdown timer watch. This device does not keep time. 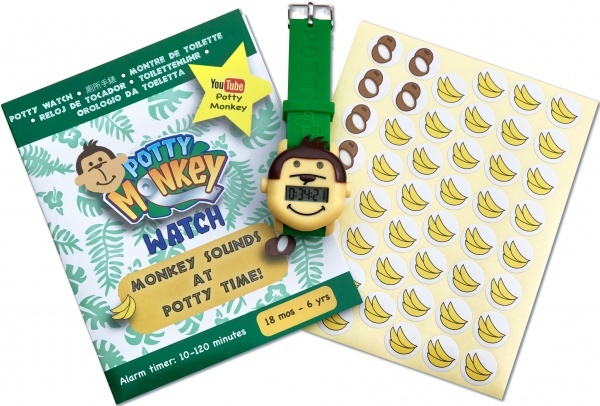 Potty Monkey Watch is a fun and easy way to remind your little one to use the potty! Let’s be honest, they never listen to mom and dad when it is time to go. This fun and interactive wrist alarm will capture your child’s attention and imagination, and engage your little one in the potty training process. 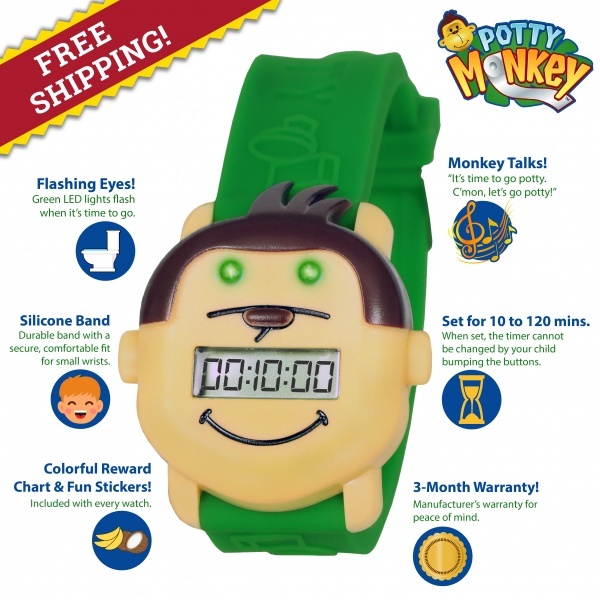 Potty Monkey Watch says “It’s time to go potty. Let’s go potty!” and plays a tune when it is time to go. 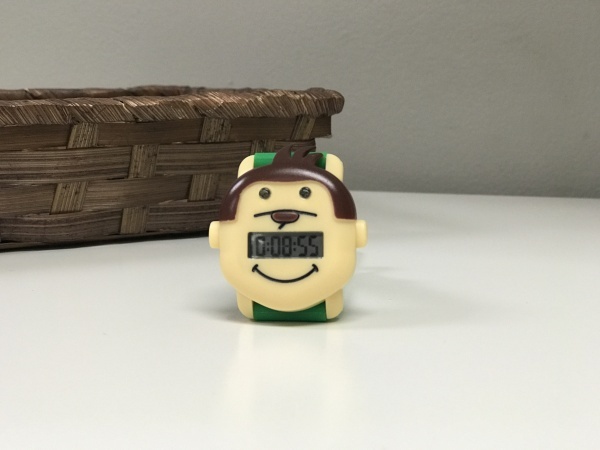 The countdown alarm can be set to intervals from 10 to 120 minutes to remind them to go potty. 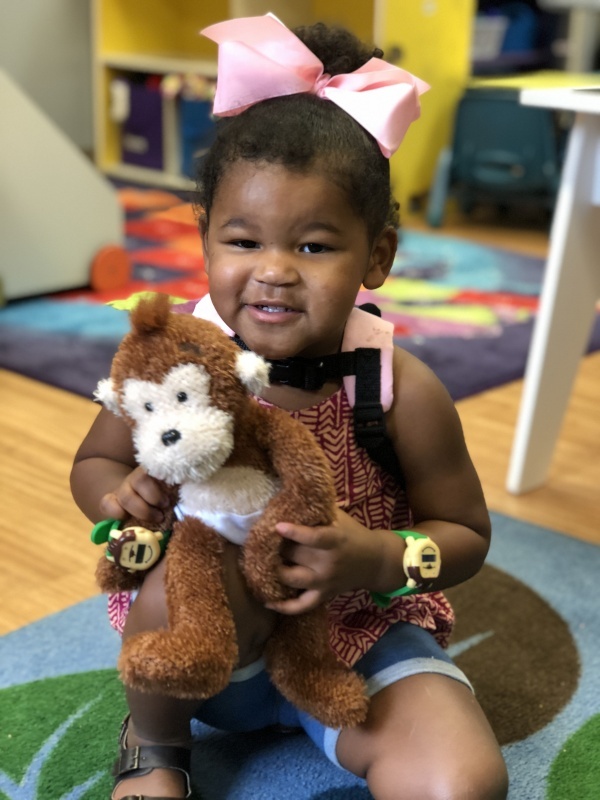 The potty watch is your best choice when you’re on the go with your child – the alarm will remind Mom and Dad, too, that it’s time to go potty, helping your family maintain a consistent training routine. 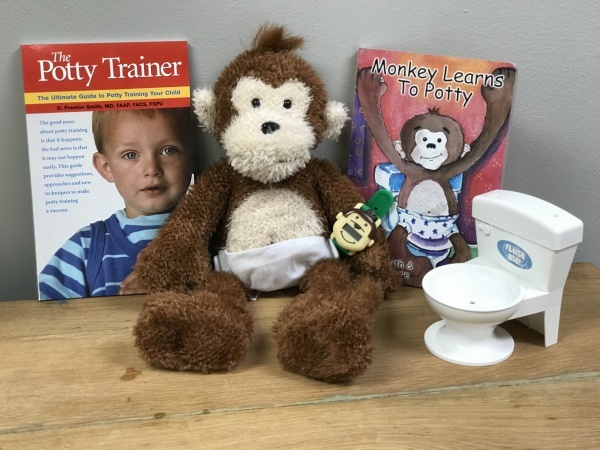 Watching videos of a cute monkey and placing stickers on a chart to reward success makes the potty training process more fun for you and your child. Potty training just got easier with the Potty Monkey Watch! On/Off function saves battery life! 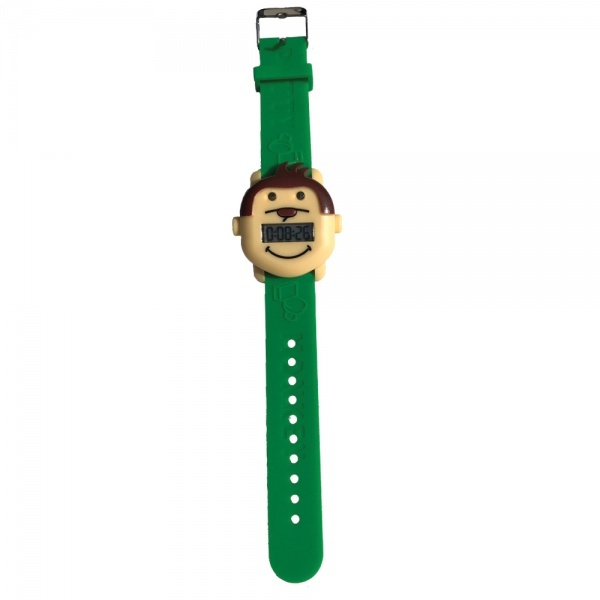 Watch comes powered off; push and hold both buttons (ears) to power on. 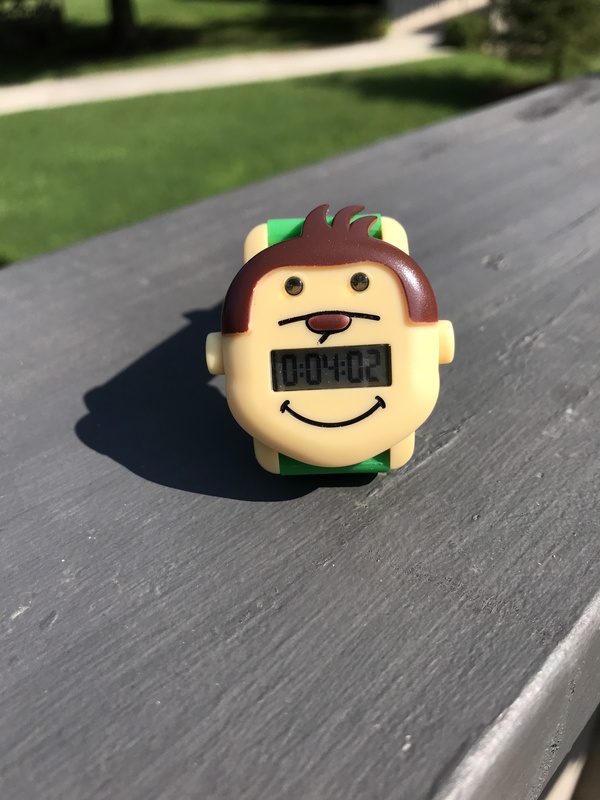 Child-proof settings; countdown timer cannot be changed by child pressing buttons. 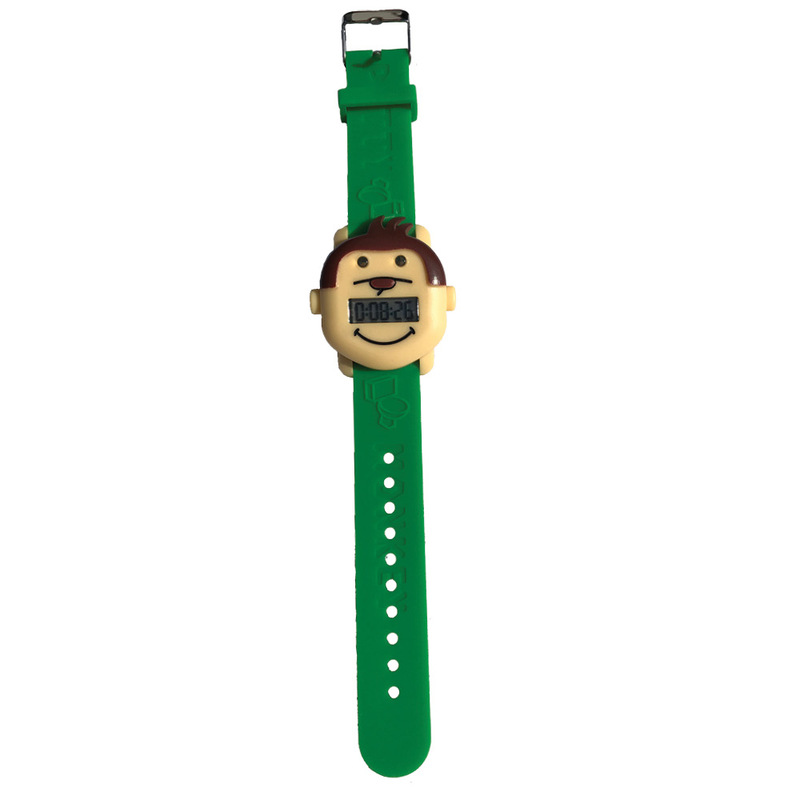 Watch talks and eyes flash green at potty time. YouTube videos for your little one to watch and learn with Potty Monkey all about using the potty! Rewards chart and stickers included to celebrate using the potty! 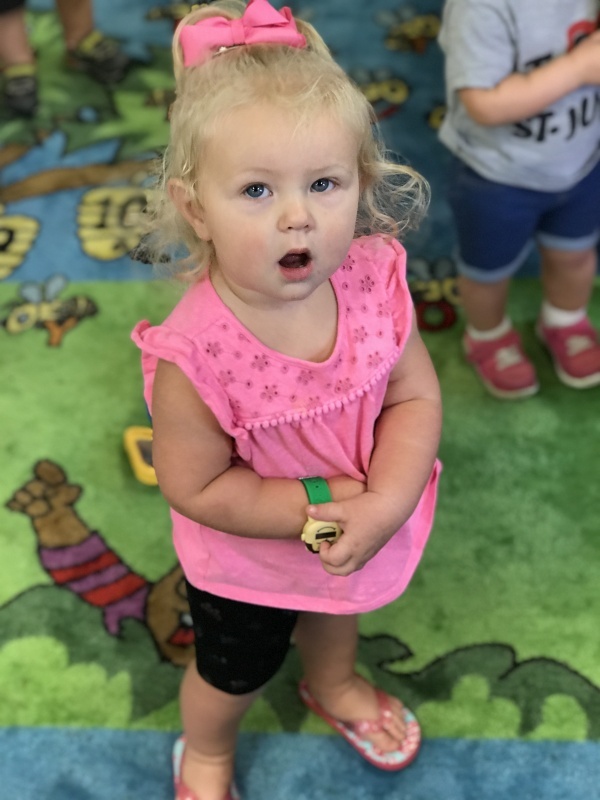 Decide when you would like your child to go—eg., every 2 hours. 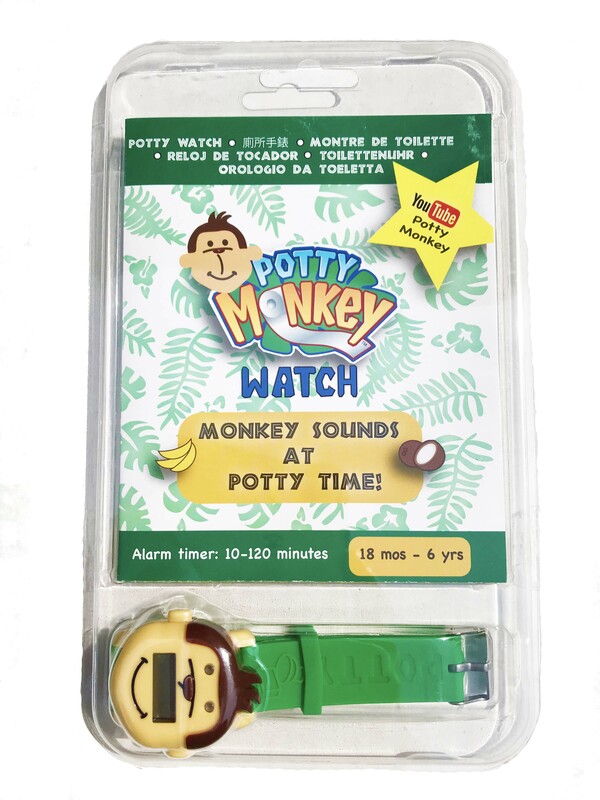 Set the Potty Monkey Watch timer to that interval. Let your little one know that when the Potty Monkey watch lights up… it’s time to go potty! 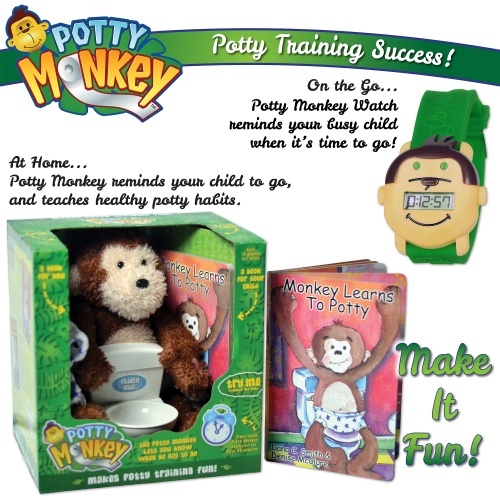 Watch Potty Monkey Videos on YouTube – a fun and interactive way to boost your child’s engagement and success!